It takes a certain kind of man, a man of integrity and quality, a true visionary to reach the pinnacle of success, and yet maintain an air of humility that is striking in its simplicity. It takes a man like Dr. Cdr KARTIKAY SAINI, a humanitarian, a true leader to validate that success and humility co-exist. Dr Cdr Kartikay Saini is an ex-commander of the Indian Navy who spent 30 years of his distinguished career serving the motherland, with an excellent track record that speak of his dedication and love for the country. Currently, he holds the following distinguished positions that underline his leadership and entrepreneurship skills. Accomplished Businessman: Dr. Cdr. Saini has undertaken numerous leadership roles in his richly diverse business career as the CEO of Tobu India Pvt. Ltd, CEO of Eurotherm Hema (A German JV), Joint Director Procurement (Navy) among others. He is currently the Director of Hema Engineering Industries Ltd, a 5000 million turnover Automobile Industry. He also Chairs the Board of Scottish High International School and serves in the capacity of Chairman- Special Olympics Bharat. Motivational leader: Apart from his laudable accomplishments in the field of education at the National and International levels, Dr. Cdr Saini has served and continues to serve as a key speaker in workshops and seminars on leadership and governance in different parts of the world-Spain, Switzerland, China, U.S.A, Macau, Philippines, Malaysia, to mention a few. He constantly challenges the status quo, expunging mediocre ideas and concepts with his radical views and innovative ideas on global issues. He models true leadership by practicing what he teaches. Little wonder that he is highly respected in his community, with his ideas catching on like wildfire. Dr. Kartikay Saini has been invited to lead conferences and workshops across the world and honored for his excellent humanitarian work in the field of ‘disability’. His workshops include the Academies of Asia Pacific, Europe Eurasia Youth summits, America’s Youth Congress etc. Artiste & Orator: Dr. Cdr. Kartikay Saini is a keen writer and a poet, and has contributed to a number of journals and magazines including the US Proceedings, USA. His oratory skills and interest in drama & music embody the concept of a well-rounded leader who works hard and plays even harder. Humanitarian to the core: Dr. Kartikay Saini as Chairman Special Olympics Bharat is instrumental in uplifting 1.2 million intellectually disabled population of India across 36 States and Union Territories. Special Olympics Bharat conducts 35000 competitions per year, involving 140000 coaches, impacting 2 lakh volunteers and families. The Fore-runner: Dr. Saini is the first INDIAN to be the Chairman of 30 Nations Asia Pacific Unified Sports Advisory Committee. He has brought laurels to India by leading the social cause of Unification across the Asia Pacific continents including Australia, New Zealand and Malaysia. He has made the country proud time and time again as he is the FIRST INDIAN to be appointed on the Board of Special Olympics International Washington, mentoring 177 countries of the world including continents of America, Africa, Asia and Europe. Noteworthy contributions: The achievements of Dr.Cdr Kartikay Saini in the area of education and humanitarianism has earned him commendations by many Heads of Global organizations and Country heads of ‘Special Olympics International’ in Asia and Europe as well as America. He has received noteworthy recognitions for his social work and education of people with disabilities. Prominent personalities like Dr. Timothy Shriver, nephew of US PRESIDENT John F Kennedy, Consulate General of India Ms. Neeta Bhushan at Chicago USA, the Bhutan Government Special Olympics and CEO- Special Olympics International, Ms Mary Davis have lauded his meritorious contributions in the same. Awards and Accolades: Dr. Kartikay Saini is a highly decorated Officer with over 19 medals to his name in the world of CIVIL and defence. His profile is bedecked with highest honorary titles like ‘Gem of India’, ‘Rasht Riya Gaurav Award’, ‘Commendation by Chief of Naval Staff’, ‘Karam Veer Chakra’ among others. His contributions in the field of education and Special Olympics have very few parallels. 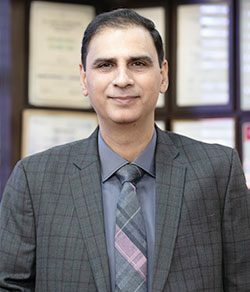 Honored with ‘Derozio Award’, ‘SAICON- Sports Authority of India’, ‘Inspirational Leader’s Award’ ‘Visionary of the Year Award’, ‘Indian Achiever’s Award”, “Education Stalwart Leader”, “Trendsetter of the Year 2018” and many more, Dr. Saini continues to make a mark in the hall of excellence.